Adams State University is streamlining the financial aid process for students and families with a digital award letter system from CampusLogic. The company's AwardLetter solution provides mobile, personalized award letters with embedded videos and resources that help explain the complexities of an aid offer. A Hispanic-serving institution in Alamosa, CO, Adams State has the highest percentage of Pell grant-eligible students out of Colorado's four-year institutions, according to a news release. More than half of its student population is Pell-eligible, and more than 90 percent of students receive some form of financial aid. 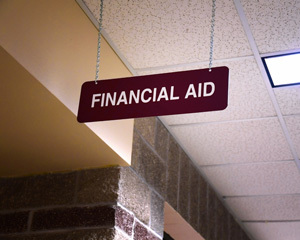 The university turned to CampusLogic to help students better understand financial aid awards and make informed borrowing decisions, the release said. "Our mission at Adams State University of educating and serving underserved groups is reflected in our deep commitment to affordability and access for all students," said Karla Hardesty, executive director for enrollment management at Adams State, in a statement. "The experience of applying for and deciphering financial aid awards can be complex and time-consuming, so we are excited to be able to leverage CampusLogic technology to help our students more clearly understand the investment they are making in their future." On the administrative side, university staff will receive real-time updates on students' use of the CampusLogic system, allowing them to offer guidance as needed during the financial aid process. For more information, visit the CampusLogic site.